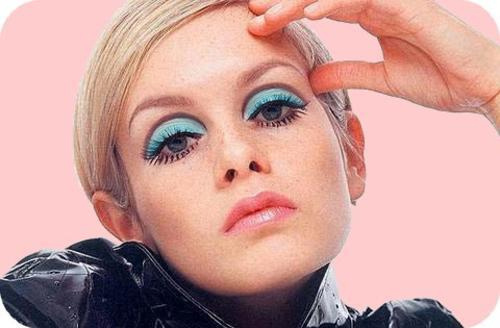 I felt a jolt of inspiration when I stumbled upon this image of Twiggy, and I thought it would be the perfect opportunity to try to recreate that mod look from the 60’s. I also thought it was appropriate, being the first day of spring! These looks typically played with lots of pastel tones, so I immediately thought to use the shade ‘Isla’ from the Anastasia Beverly Hills Self Made Palette. However, in hindsight, I wish I would’ve used a matte shade instead. This look definitely took me out of my comfort zone, and it was the first time I actually made a real attempt at a cut crease. I’ll admit, it was a little difficult given my confusing eye shape, but I think it turned out all right! Check out the video if you’re interested in seeing how I achieved the look.